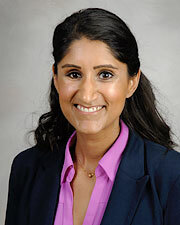 Dr. Farah Akhtar is an assistant professor at McGovern Medical School at The University of Texas Health Science Center at Houston (UTHealth). As her clinics grow and develop, Dr. Akhtar aims to establish an outpatient pulmonary and sleep resource for the community. UT Physician’s first Pulmonary Function Testing lab is now available at the UT Physicians Pulmonary and Sleep Medicine Clinic at Dashwood.